Shadowhunters fans understand that the TV show is only loosely based on the books. Liberties will be taken with the characters and the plotlines. We understand that and are (for the most part) fine with it. This week, however, I could not help but feel like Disney was using the show mainly to cross-promote its upcoming movie, 10 Years Through the Looking Glass. 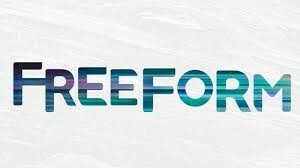 (Freeform is owned by Disney). As soon as Clary went through the portal we started seeing tie-ins, including Valentine dressed like the Mad Hatter, the theme of the party, and Alex and Magnus drinking out of the teacups. The whole thing was verified in the next commercial break, which featured a preview of the movie as well as Pink singing the song White Rabbit. What do you think? Did Disney go too far in tying in its completely unrelated movie for publicity? Or was it a good cross-promotion to a similar audience? A video was shared recently about Shadowhunters version of Magnus Bane. Harry Shum Jr. talks about what it’s like to play Magnus, and we hear from the other members of the cast what it’s like to work with a Magnus around. It’s a really cute sneak peek at the new show!